But wait… This often isn’t what we see, is it? Maybe, like me, you have met some of the social-justice-warrior Christians who seem to blur the lines between their faith and their left-leaning political views. Maybe you have noticed, as has Pew Research Center, that 81 percent of white Evangelicals voted for Trump in 2016. Maybe you have heard the unsettling comments that seamlessly blend faith in Christ with support of a particular political party. We as Christians are bad at remembering that Christ is our identity. We stray so far so fast, putting our identities in material things. And in America, we especially love to put our identity in our politics. It starts when we choose a party to identify with. If we love traditional views, nationalism, and the idea of security, we may side with the Republican party. If we love progressive ideals and an emphasis on inclusiveness, we may side with the Democratic party. And at this point, our identity is wrapped up in the party of our choice, so we feel that we must defend it against all rebukes. We think of all the reasons that our side must be the “right” side. The side that God would choose. The side that other good Christians must choose. Our side is right because it emphasizes tolerance and love. Or, our side is right because it emphasizes freedom and work ethic. We imagine that God is up in heaven rooting for our party just as we are. And the other side, of course, becomes the enemy. Everything they do is wrong. They spread lies, they sow hate, they encourage violence. Both sides have accused each other of these crimes, interestingly enough. But the world is not a simplistic division between the “good guys” and the “bad guys”. In reality, both of the political parties in America have good qualities as well as bad. When we put our identity in one of these parties, we take on everything that party has done well, but we also identify with every mistake they have made. 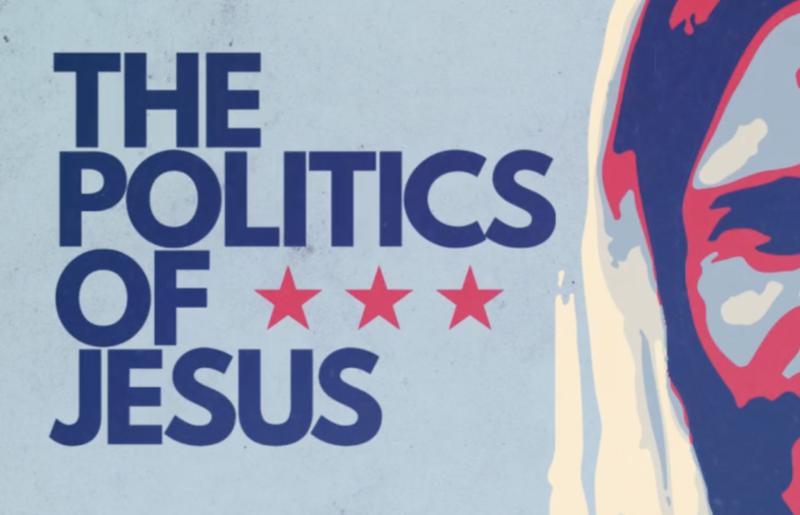 God offers us a solution that shines with a hope that political parties can never provide. With Him, we do not have to pledge our allegiance to temporal groups that are lead by sinners and full of shameful sin. We do not have to pick either Democrat or Republican. After all, the Bible does not specifically call us to be Republican or Democrat. Nor does it speak directly on issues like border control, healthcare, economic system, or the regulation of guns and drugs. On these issues, Christians are called to carefully reflect on His word. We have the freedom to develop a wise, scripture-based opinion on how we think our government should address issues such as these. Instead of choosing a party first, and then using scripture to justify our decision, what if we switched that order around? What if we first looked at scripture? What if we did not elevate to moral imperative our personal opinions of how the country should be run—our personal preferences in economics, social justice, and politicians’ personalities? This is so freeing. Our decision is no longer bound to one party. Now we are free to vote for whoever is following God’s laws the closest. One election season, this may be a Democrat. And next time, a Republican. After that, it may be an Independent candidate. It is certainly harder to align ourselves with God. It requires deep thought, careful consideration, and intentional dedication. When we follow what Scripture says above all else, we no longer have the leisure of blindly following a political party. We have to work. We have to wrestle through each issue. We have to learn about each candidate. But in the end, this approach to politics is so much more hopeful. When we side with God above all else, we do not have to tie ourselves down to a fallen party.